How can I enhance my curtains with trimmings? Thanks in advance! 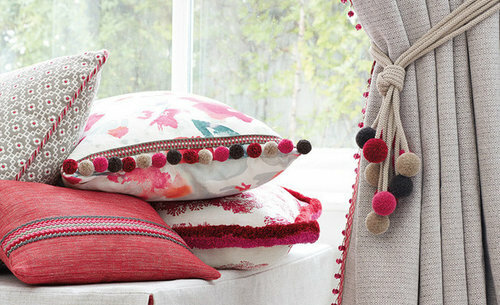 Ribbon and braid sewn to the edges of curtains is a simple but exceptionally striking design detail. For example one or two rows of braid set in from the leading edge of plain curtains defines the line and adds texture and interest. come see our stunning range of braids trims and tie backs.. Need help with my living room please.